In a new study, researchers at the U.S. Department of Energy’s (DOE) Argonne National Laboratory, together with collaborators in France and Russia, have created a permanent static ​“negative capacitor,” a device thought to have been in violation of physical laws until about a decade ago. “The objective is to get electricity where it is needed while using as little as possible in a controlled, static régime,” said Argonne materials scientist Valerii Vinokur, the corresponding author of the study. 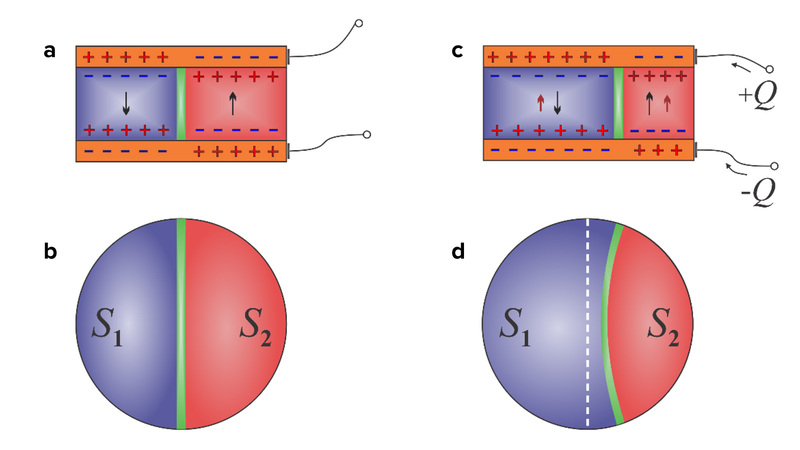 An article based on the study, ​“Harnessing ferroelectric domains for negative capacitance,” appeared in the February 26 online edition of Communications Physics. Authors of the study also include Anaïs Sené of the University of Picardie, and Yuri Tikhonov and Anna Razumnaya of the Southern Federal University (Russia). Optical ​“tweezers” hold crystal steady for X-ray experiment.